For every cricketer, the list of the essential protective gears will often include leg guards. Also known as batting pads, they are highly effective in protecting the lower body from injuries, especially during an intense game. As a contact sport, such protection is necessary so that you can play with confidence and without worry about getting hurt. 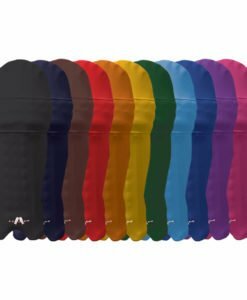 While there are plenty of options that are available in the market, Kookaburra batting leg guards are amongst the most popular. They are the perfect representation of the combination of the old and the new. Traditional principles are merged with modern technology, which is crucial in coming up with a product that satisfies the need even of the most discerning players. With this, you can expect that the highest level of playability and protection will be apparent in every leg guard. While the company has several lines of leg guards, one of the most popular is the Kahuna Series. The Kahuna Players, for instance, is popular for its Contour Knee, which is basically the one that is responsible for providing the protection that is needed. Its weight is kept at a minimum, making it able to provide the highest level of comfort for the wearer. The cane construction and high-density foam are also worth noting, which improves the ability to deliver protection from injuries. These are considered to be industry-leading innovations. Regardless of what you choose from the Kookaburra batting leg guards that are available in the market, you can expect nothing but the best. The company has invested in thorough research and development to come up with novel ideas and to be consistently above the competition. They have some of the greatest minds in the industry, allowing them to design products that are way ahead of its time. Another revolutionary technology that has been introduced by the company in recent years is the Contour +, which is available only in selected products, specifically the newer ones. It is a bolster that wraps the knee to provide an added layer of protection. Even so, it is lightweight, and more importantly, will not restrict your movement. All of the leg guards produced by the company are equipped with padded straps. The latter will make it easy for you to make the necessary adjustments. In the same way, the straps will hold the pads securely, but they will never feel too tight. They will not irritate the skin because of their cushioning. They are designed in such a way that you can concentrate in your game and end up in victory. Are you looking for the best Kookaburra batting leg guards? Check out our online shop today. We have a wide range of protective equipment, including high-quality batting pads. Whether you are an adult or junior player, we have leg guards that will provide the protection that you need. We can provide you with the assurance of their protective capability, and best of all, you can avail of these products at a price that will not hurt your wallet!